Look who popped in, Jack is quite the chatterbox now although your guess is as good as mine to what he is chattering about haha! 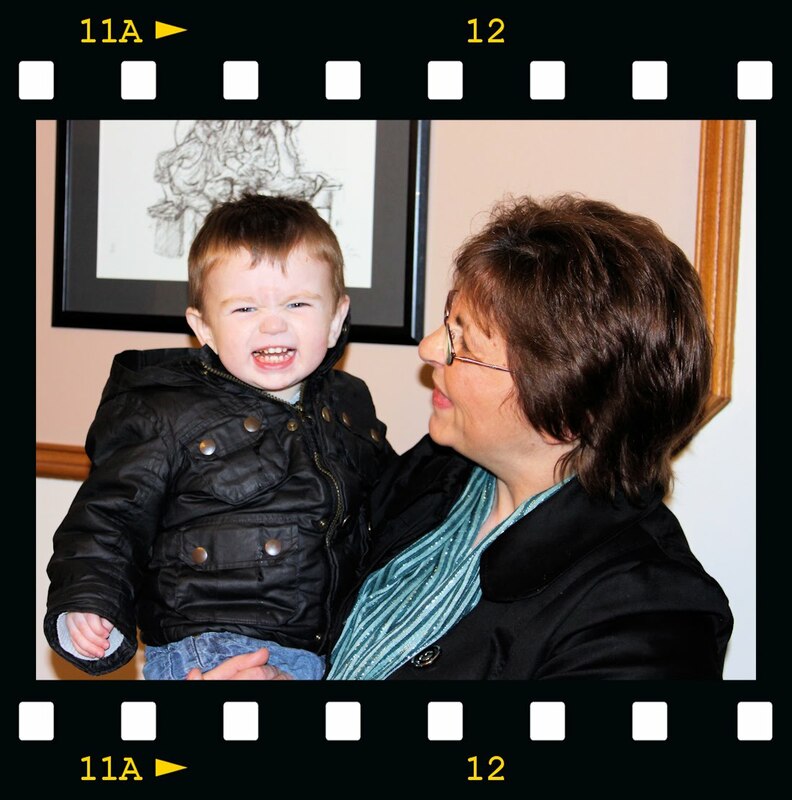 this is him pulling his funny face at Granda while he takes a picture of us. he did go on to blow raspberries at Granda and I have a great chocolatey dribble picture which I will keep until he is 16 years old lol! Coming soon.... Nice 'n' Easel decoupage sheets from La Pashe 8 sheets with stunning floral designs, they are the perfect size for your Easel cards or alternatively would make a stunning square card. 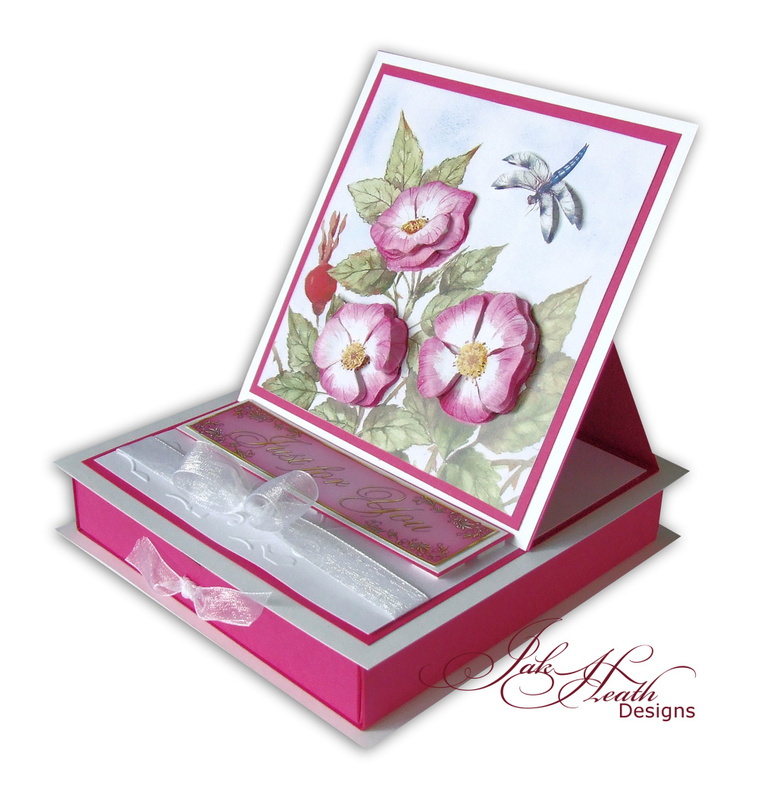 I made this one into a draw bottom card and slipped a second card made from the same sheet into the drawer. Another great card Jak using one of Mo's fabulous images. Many thanks for the chance of winning the promarkers. Congratulations Trish if you care to email me (email addy on my sidebar) your details I will pop your prize in the post for you. Oh Jak what a cute,you must be so proud of him. Ah, Jack is a little darling and yes he is growing very fast! Just love your drawer card Jak. Congrats Trish - happy colouring. Gorgeous box Jak, what a fantastic gift! Little Jack is a real sweetheart. Awww, Jack is just a little darlin isn't he?!? I just loved that age. What fond memories you are building! Your box card is beautiful Jak! Those flowers are great. Do you get very many on a sheet? And do you know the prices of them yet? Just curious. You did a wonderful job showcasing them. The card with the drawer is so pretty. He is such a cutie! 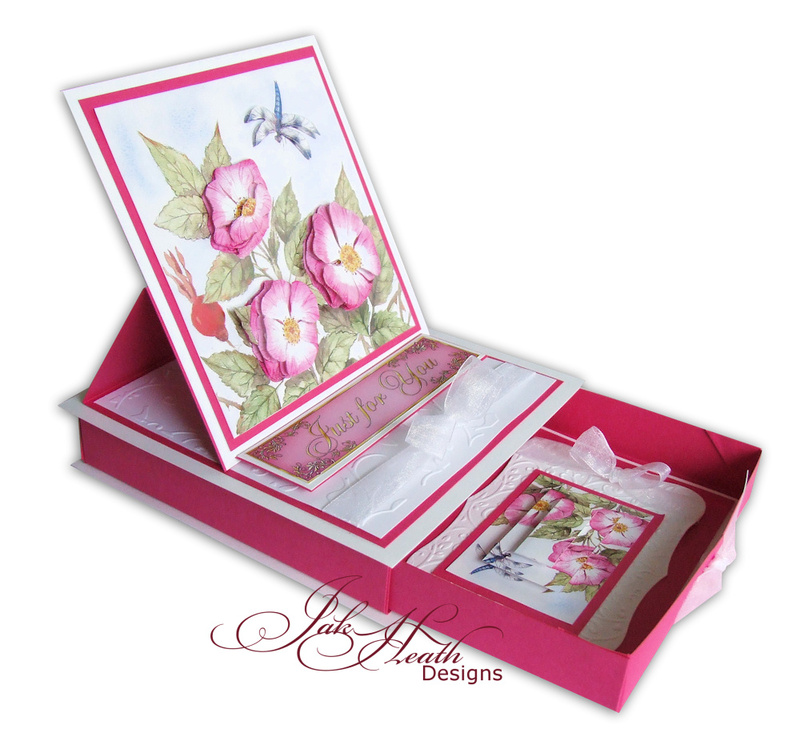 Your card is beautiful as ever Jak, Will instructions for how to make the drawer card be available somewhere? Thanks! And congrats to Trish! Awww Jack is so cute pulling that face ha ha :) Love your drawer card. It is so pretty and elegant a definite wow!! Jack just gets more and more gorgeous every time i see him. Love the drawer card Jak and what a fab image, can't wait to see the other 7. Well done Trish on winning the Promarkers. Hi Jak, I am soooo delighted to have won. Thank you for this and I will go now to send you my details... Yippeeee!! Prizes Updated and a blog Blinkie.